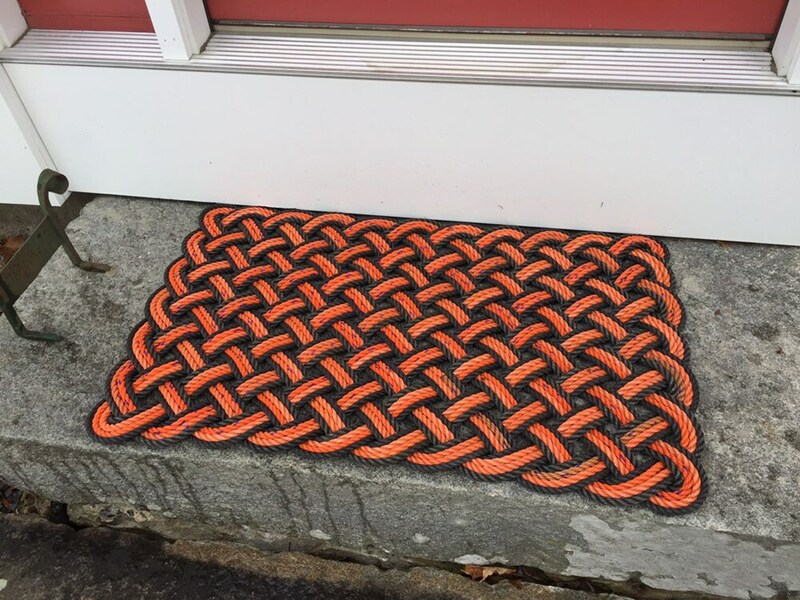 We take multiple lengths of 3/8" rope and bond them together into a single strand (reducing our scrap waste), then neatly weave them together to create a truly unique rug. Our mats and rugs are extremely durable and are well suitable for either indoor and outdoor use. They are easy to clean with a hose, power washer or dip in the ocean/lake. There are 4 passes of upcycled lobster rope used to construct the mat. The color is solid black boarders and orange with purple tracer middle passes. The pictures shown are very similar to the mat you would be purchasing.